Home funny Video Dustin Johnson's Kid Takes Jordan Spieth's Ball. His Dad Would Take His Girlfriend. 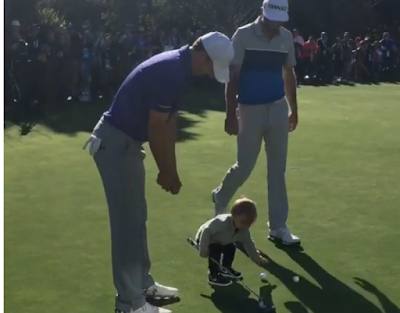 Dustin Johnson's Kid Takes Jordan Spieth's Ball. His Dad Would Take His Girlfriend. I think the headline says it all! Thanks Paul Quinn for the heads up.